As of writing, the total cryptocurrency market cap stands at $170 billion. If you want to get your slice of the pie, we recommend you to educate yourself before you take the plunge. There is a wide variety of tokens out there with differing token models or “tokenomics.” To get an in-depth knowledge of your target asset’s tokenomics, you will need to go through their whitepaper in detail. The purpose of this guide is to give you a basic understanding of how tokenomics works. In real life, a token is a thing which serves as a visible or tangible representation of a fact, quality, feeling, etc. you can empty your pockets right now and the chances are that you will stumble across a lot of real-life tokens. Your gym membership card is a token that represents the fact that you have subscribed to a gym. Your driving license is a token which represents the fact that you have taken the training required to drive in your country. Your hotel key card shows that you have paid the hotel for your room. Similarly, in the cryptoverse, a token is a representation of “something” in its particular ecosystem. It could value, stake, voting right, or anything. A token is not limited to one specific role; it can fulfill a lot of roles in its native ecosystem. A token represents an asset or utility that a company has and they usually give it away to their investors during a public sale. 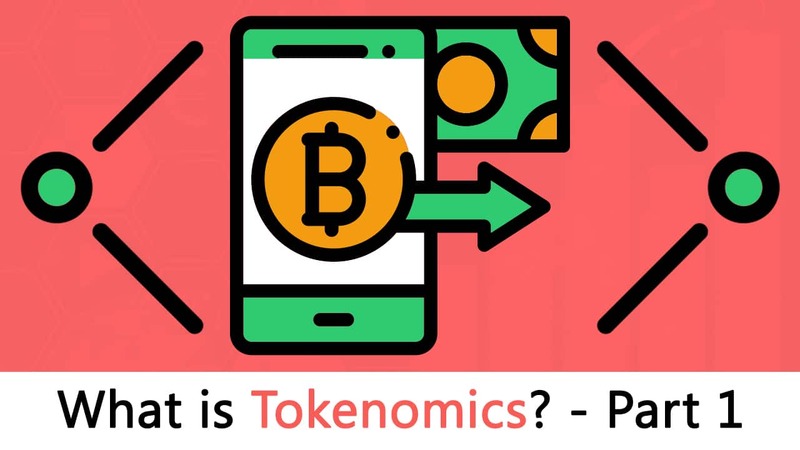 Tokenomics consists of two words “Token” and “Economics.” Tokenomics is the quality of a token which will convince users/investors to adopt it and help build the ecosystem around the underlying project of that token. So, when we say “quality” what exactly do we mean? To put it simply, anything that impacts the token’s value is a part of tokenomics. Tokenomics is a pretty broad subject and includes a variety of components. Let’s go through them one-by-one. 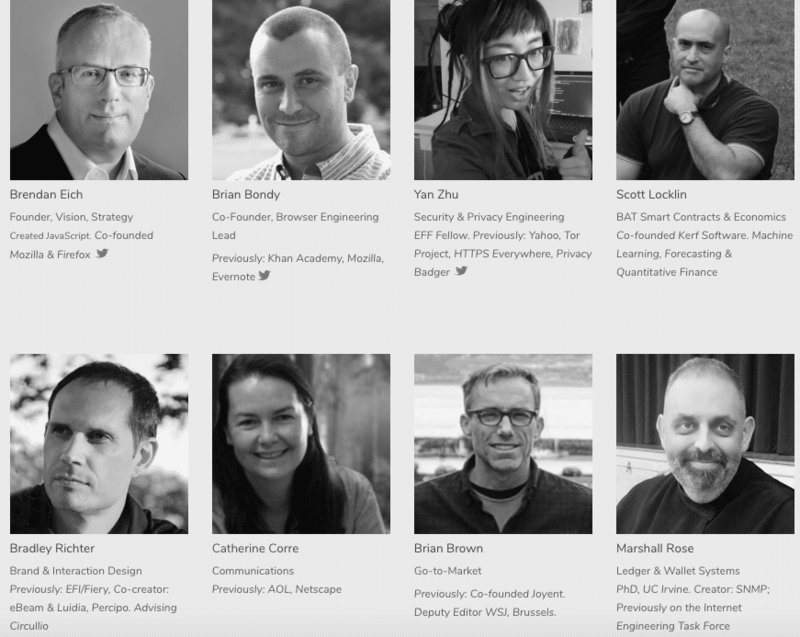 It should go without saying that a credible project has a reliable team behind it. The people behind the project is critical in determining if the coin has any chance of gaining widespread adoption. Let us give you a pretty good example. Another important thing to look at is how the token is actually going to be distributed post crowdsale. You can check out these details in the project’s whitepaper. Also, it is important to check the lock-up period on the tokens given to the team and advisors. Founders/creators who are interested in the longterm potential of their projects will have a long lock-up period. One of the most important aspects of a crypto project is its community. Without a good community, a project is nothing. It doesn’t matter how fundamentally sound your cryptocurrency is, it is crucial to give proper attention and respect to your potential buyers aka community. Projects with the most active communities tend to have more stable tokens. Many crypto projects tend to look down on community building and focus their entire energy on building a product. While there is absolutely nothing wrong with being dedicated to building a great project, one shouldn’t ignore their communities in the process. Projects need to make sure that there is someone in their team who is regularly interacting with the users while displaying empathy. One of the most critical factors to look into is the business model of the project. Projects should have a robust model with which they can make money. Crypto coins like Bitcoin and Bitcoin Cash are only used for payment purposes, hence they don’t need complicated business models. However, for decentralized applications, which aim to be more than simple payment systems, they need to have a robust business model. Eg. Golem’s model is to use their GNT tokens to gain access to its resources. Similarly, in EOS, you will need to stake and hence hold on to your tokens, to obtain the resources necessary to run your Dapps. The next thing that you will need to look into to gain a proper perspective on the tokenomics of the project is its real-world utility. In other words, is the project bringing any real-world value into the market? Is the project’s platform entirely dependant on the token? If yes, then that is a project that is worth investing in. After the sheer amount of money that ICOs have raised in 2017 and 2018, they have come under increased legal scrutiny via different governing bodies. The project that you are interested in should be legally compliant with all the regulations of the country that it is based in. The project must have a legal team which takes care of all the legal compliance. The last thing that we need to look into is the structure of the token and how well it fits into the project. This is a pretty deep subject, and we are going to focus on it pretty exclusively in the following sections. Before we go any further, however, we must understand precisely what kind of token we are dealing with. 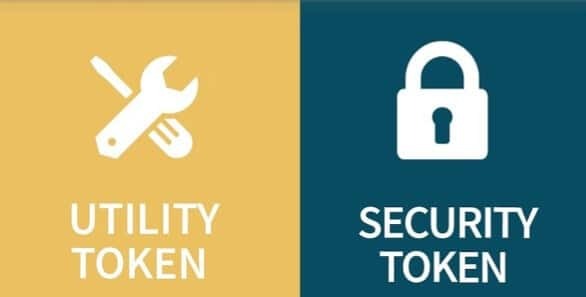 There are several categories into which we can differentiate these tokens, Let’s look into some of these categories to gain a better understanding. Layer 1 is the underlying/main blockchain. The token which powers this blockchain is the layer 1 token. Layer 2 is the Dapps/ICOs built on top of the main underlying blockchain. Let’s take an example to gain a better understanding. OmiseGO is a project that is built on top of the Ethereum blockchain. In this case, Ethereum is layer 1 and is powered by the Ether, the layer 1 token. OmiseGO is layer 2 and is powered by OMG, the layer 2 token. In this case, the well-being of the layer 2 application is completely dependent on the overall well-being of layer 1. If there are some issues with the layer 1 blockchain, eg. a hack or a bug, it is going to affect the overall well-being of layer 2 as well. Many projects are currently working on making layer 1 and layer 2 as independent as possible, but it would be a lie to suggest that these two have no connection whatsoever. Now, if a layer 2 application is doing well, then it reflects positively on layer 1. As such, many layer 1 projects try their best to attract as many developers as possible to their platform. HIgher the quality of the layer 2 applications, better the value of the layer 1 network. The second category is mostly about the layer 1 protocol. Simply speaking, is the protocol original or has it been forked off some other protocol. Bitcoin and Ethereum are examples of original chain protocols. ZCash, Bitcoin Cash, Litecoin, etc. are all examples of forked chains since they have been forked from the main Bitcoin protocol. On the other hand, a crypto token that passes the Howey Test is deemed a security token. These usually derive their value from an external, tradable asset. Because the tokens are deemed a security, they are subject to federal securities and regulations. If the ICO doesn’t follow the regulations, then they could be subject to penalties. If you borrow 100 USD from your friend, and you return them another 100 dollar note, then it is perfectly fine. In fact, you can give your friend 2 50-dollar notes or even 10 10-dollar notes. It will be perfectly fine because dollars (or paper currencies in general) are, for the most part, fungible. On the other hand, what about… a collectible material? Eg. Suppose for some reason you took your friend’s Picasso painting for a day? Now, what will happen if, when you have to return it, you give her back some other Picasso painting? Even worse, what if instead of giving back the painting, you give back the painting in smaller pieces? Either way, you will be lucky if she doesn’t eviscerate you. Unlike currency, paintings, and any kind of collectibles are non-fungible. Currencies gain more value by its fungibility. The more widely regarded and accepted a specific currency is, the more people will use it and hence more its perceived value will be. So, if payment is one of the main utilities of the token that you are interested in, then you should check whether the token is fungible or not. Non-fungibility is a desired asset when your token is a collectible. Eg. the cryptokitties token is an example of non-fungible tokens. They gain their value from being unique. There are several components that you need to keep in mind to understand the structure of a token. First, let’s look into the token flow. How is the project looking to build a sustainable and stable ecosystem in the long-term? How are tokens being injected into the ecosystem? How are tokens leaving the ecosystem? How are the individual participants being incentivized to perform to the best of their abilities? Bitcoin is the original layer 1 protocol. While it has a simple model of being a payment system, it runs on the back of specific nodes known as miners. Bitcoin works on the basis of the proof-of-work (POW) consensus protocol. Let’s summarize how Proof-Of-Work Protocol works with the blockchain. The miners solve cryptographic puzzles to “mine” a block in order to add to the blockchain. This process requires an immense amount of energy and computational usage. The puzzles have been designed in a way which makes it hard and taxing on the system. When a miner solves the puzzle, they present their block to the network for verification. If approved, the block gets added to the chain. So, what is incentivizing these miners to do a good job, after all, mining is purposefully expensive? For finding a valid block, the miner, or more accurately, the pool that the miner belongs to, gets a block reward which, as of this moment, stands at 12.5 BTC. Now, this is an example of positive incentivization in a crypto ecosystem. There are cases of negative incentivization as well. Ethereum is planning to move on to a proof-of-stake (POS) consensus mechanism via the Casper protocol. So, how does POS work? After that, they will start validating the blocks. Meaning, when they discover a block which they think can be added to the chain, they will validate it by placing a bet on it. If the block gets appended, then the validators will get a reward proportionate to their bets. That sounds straightforward, but how does negative incentivization work? If a validator in Ethereum tries to act in a malicious manner, then a slashing mechanism comes into play. In other words, if you act against the system then the stake that you have put up in the system will be immediately slashed away. This makes sure that the participants in the system are acting in accordance with the established token flow. Ok so what does this actually mean and why is this valuable? 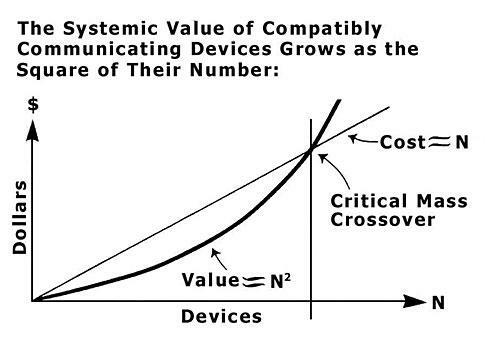 In simple terms, Metcalfe’s Law states that more the people involved in a network, the more valuable it will be. If only one person owned a telephone, then it won’t be valuable at all. However, if two or more people own a telephone, then it is instantly more valuable since these people and connect with each other and share information. As the diagram above shows, if you have two telephones in the network, then you can only make one connection. If there are 5 phones, then you can make 10 connections. However, if there are 12 phones in the network then you can make 66 connections. That’s a pretty impressive exponential growth! Plus, one more thing that you shouldn’t forget about networks is that they tend to have a life of their own. Meaning, as more and more people use them, they tend to attract more and more users. This is the reason why most successful networks tend to enjoy extreme exponential growth. 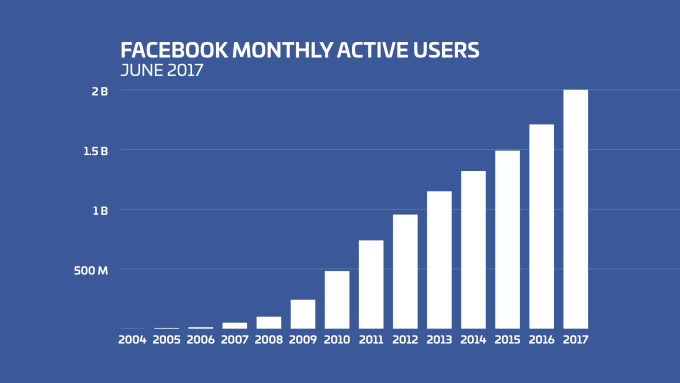 Facebook has ballooned upto 2.19 billion monthly active users. That’s ~30% of the Earth;’s population! At the same time, thanks to Metcalfe’s Law, Facebook’s valuation has grown exponentially as well. 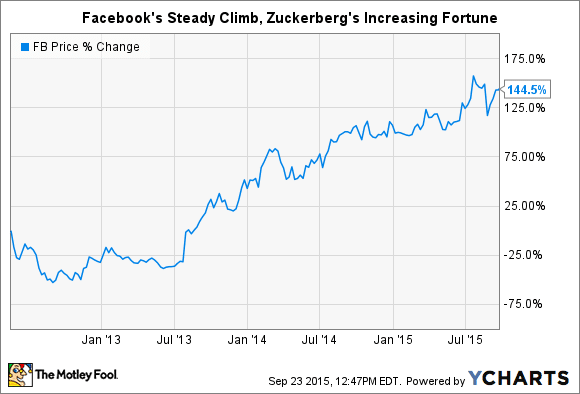 The following graph by The Motley Fool shows that Facebook’s valuation rose by 144.5% in the period of 3 and a half years between 2012 and 2015. Right now it stands at a staggering $500 Billion. And it is all thanks to Metcalfe’s Law. Can a layer 1 platform like Ethereum, EOS, Neo, etc. leverage Metcalfe’s Law to increase their valuation? Absolutely. In fact, that’s the sole focus of all these platforms as of right now. So this begs the question. Turing Incompleteness: A Turing Incomplete platform will have limited functionality and not be capable of making jumps and/or loops. Hence they can’t enter an endless loop. Step and Fee Meter: A program can keep track of the number “steps” it has taken, i.e., the number of instructions it has executed, and then terminate once a particular step count has been performed. Fee meter. Here the contracts are executed with a pre-paid fee. Every instruction execution requires a particular amount of fee. If the fee spent exceeds the pre-paid fee then the contract is terminated. Let’s focus on the fee meter. Smart contract platforms like Ethereum utilize an innate fee meter called “gas cost.” Each and every piece of instruction in a smart contract has a gas cost attached to it. Prior to the execution, the developer attaches some gas to the contract. Once the gas is used up, the contract immediately stops executing. Users of the smart contract pay for the gas costs via Ether tokens. The “gas cost” method has come under increased scrutiny since it tends to skyrocket. This is why many new blockchains like EOS have incorporated a staking method for developer interaction. EOS developers simply stake their EOS tokens and get an equivalent amount of resources in return. Over the long run, the staking method is cheaper for the developers as opposed to the gas price method. There is still a lot more than we need to cover when it comes Tokenomics. We have already made some significant headway in part 1 and we are going to wrap everything up in part 2. We hope you gained some valuable insight from this guide. Sound off on the comment section below if you want to add something to what has been discussed above.